Designed for Oluce by Christophe Pillet, the Berlin light is an object that calls into question the common understanding of the ceiling light. 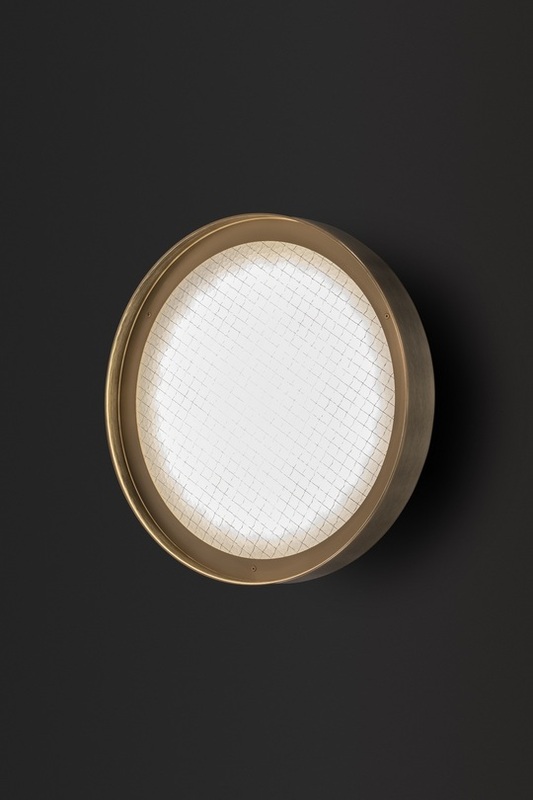 The light turns its traditional discreet character upside down to transform it into an elegant and decorative feature. Refined and versatile, the light is available in the ø40 ceiling version or the ø30 version which can be used either as a wall or ceiling light. Berlin takes the form of a thick metal ring with a slender profile enclosing a disc of wire mesh glass inside it. The satin brass finishing recalls echoes of Art Deco, given a contemporary update in the shapes, and in the use of LED as the light source.